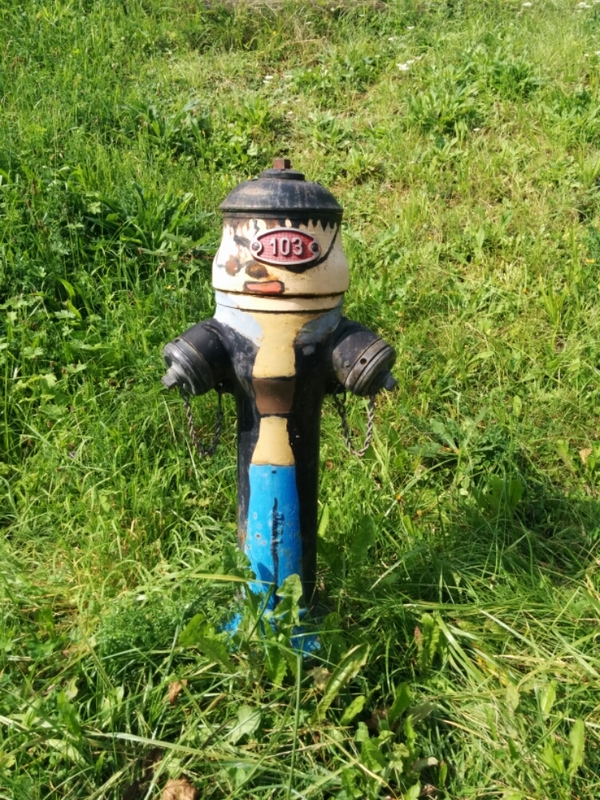 Day 25 : Do I smell yet? I’ve got a bit of a routine going with the camping thing now. 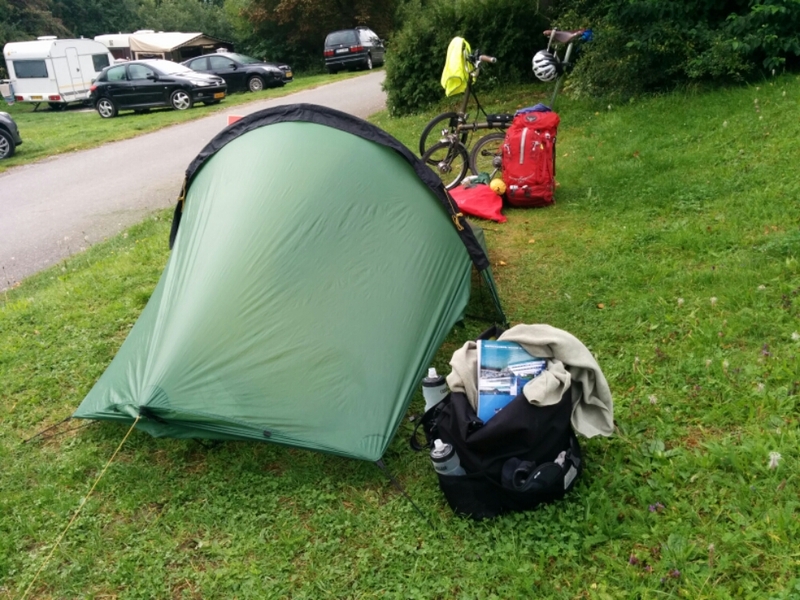 Had my shower, porridge and coffee, chatted to the caravaners in Germglish and packed up my wet tent and set out at 9am. Weather started off grey but had long sunny periods later. I’m now heading west, bound for France. I am wearing regular sandals for this trip. They may be less efficient than clipless shoes, but I’m not trying to set any records here and when I get off the bike it’s nice to be in normal footwear. Also when it rains, my feet get a wash, and the sandals dry out pretty quickly. I mention this as they have started to smell a bit. All the constant wet and dry action I bet. So I took a quick look online and people recommend wearing socks with sandals. I know! So today, whilst still in Germany, I gave it a go. To be honest I don’t see what the fuss is about, and missed the sight of my toes which have never known such freedom as on this tour. 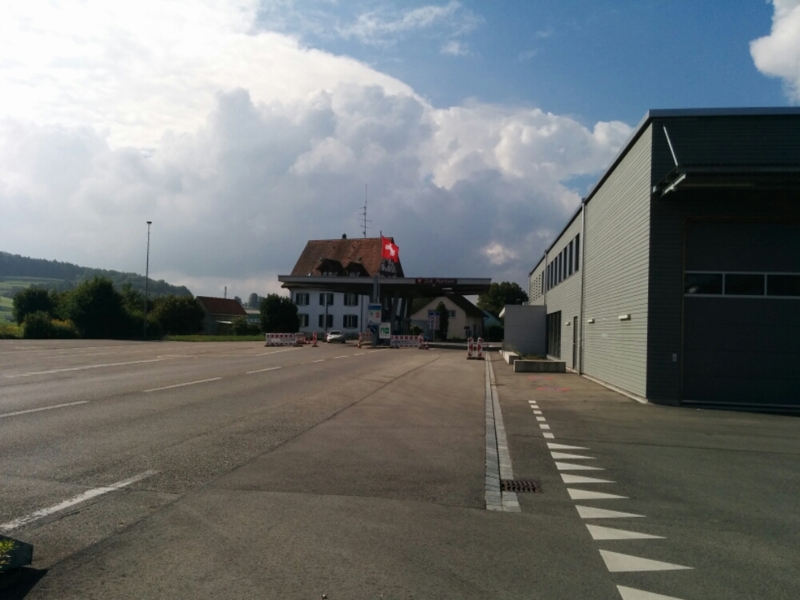 Anyhow heading west meant I crossed over into Switzerland a few times. The cycle routes weren’t as well signposted, and there were less German cars, but other than that things were pretty much the same. 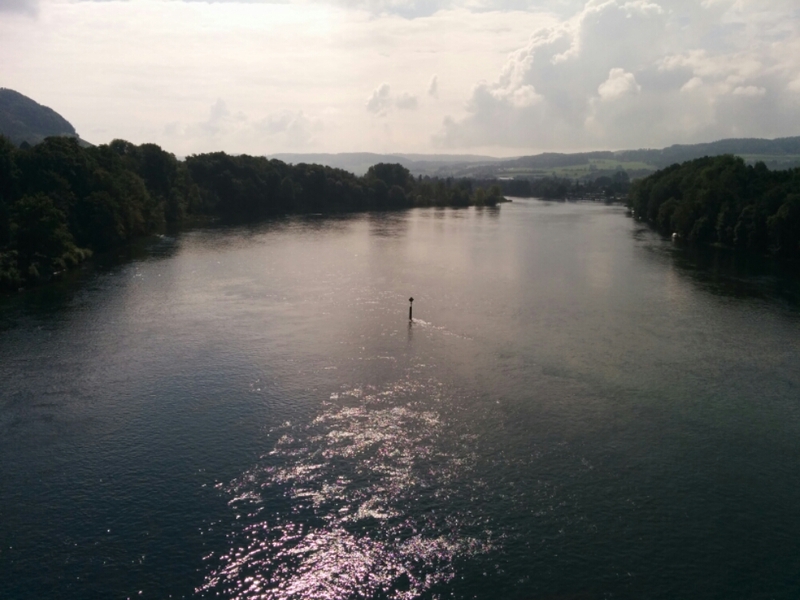 I also encountered and followed the Rhein on and off. It’s a big, beautiful river. 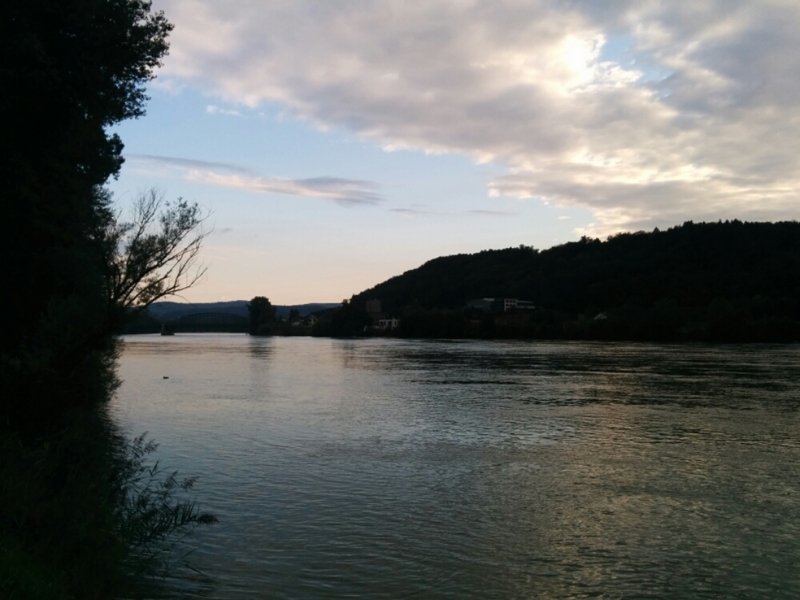 The Rhein – a very nice colour which doesn’t show in this pic. Soz. 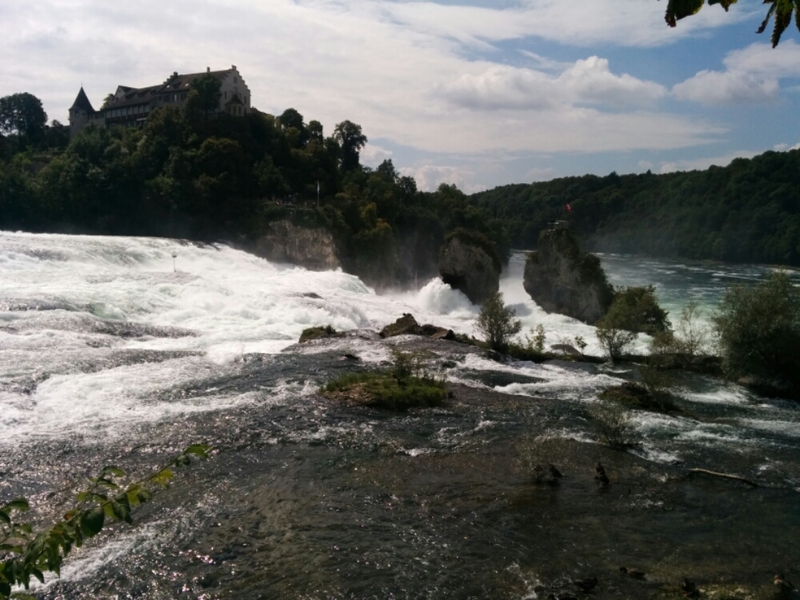 I took a detour to visit the Rheinfalls, an impressive waterfall. Rheinfalls. You can get to one of the islands in the middle if you don’t have a bike. My route was a bit snakey, no longer having a proper cycle path to follow. 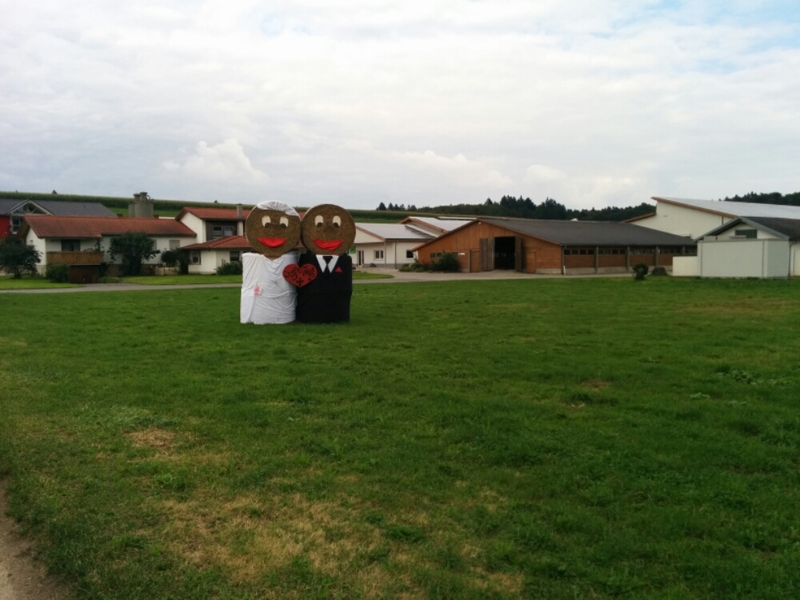 Anyhow it took me to a small town, Klettgau. 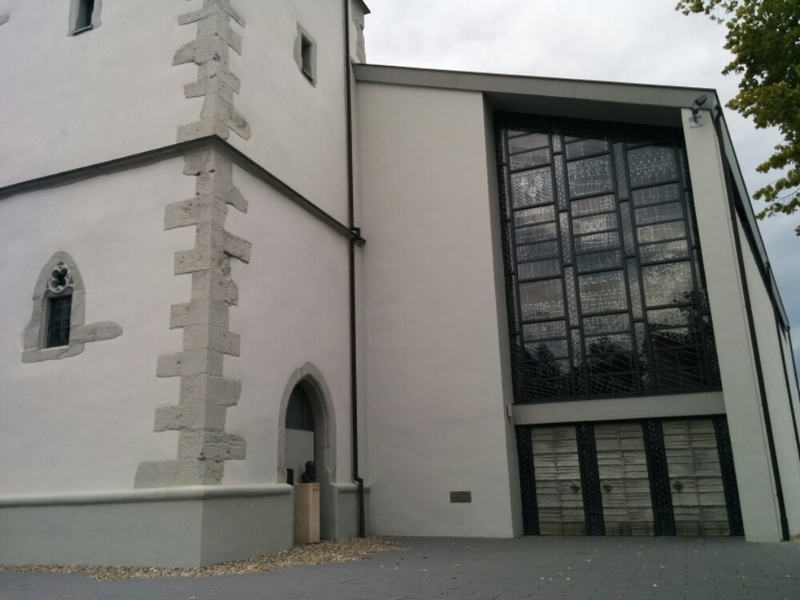 I headed for the church because I fancied a sit down (churches always provide benches as well as, in Germany, telling the time), and the church was a modern design, built in 1964, but done really nicely in my humble opinion. 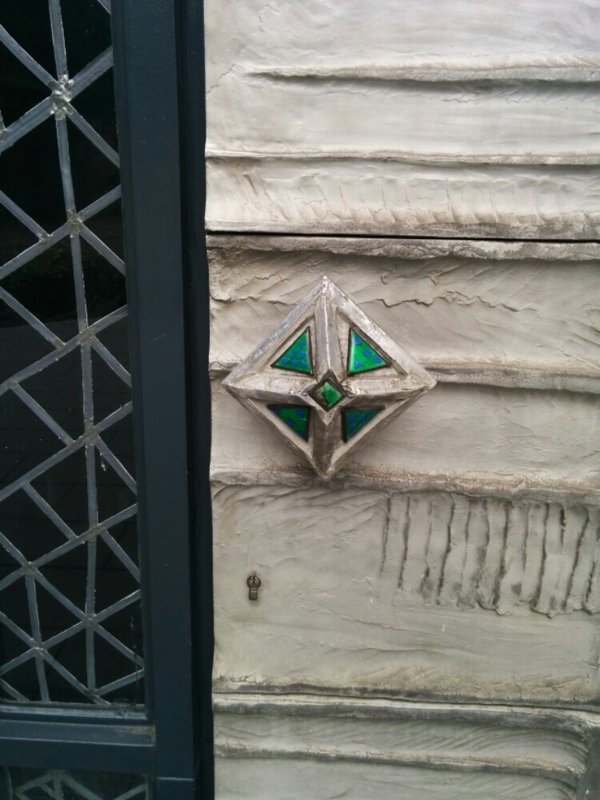 Here’s the detail of the door handles. Headed to a campsite in Germany for the night (so I can pay in Euros). It’s right on the Rhein. I also managed to find a supermarket so I had a meal on my stove, and now am free to finish my Zeppelin mag! Wahlwies to Waldshut-Tiengen, 109km. Total so far = 2,106 km. Liar. Socks with sandals feel AMAZING. Your toes are in denial.